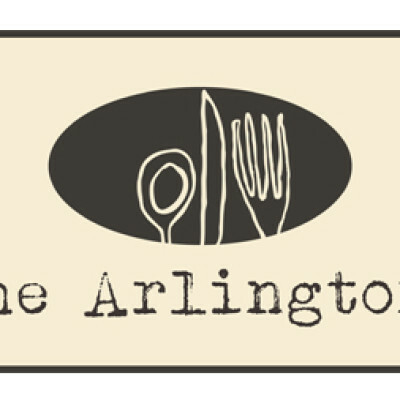 The Arlington is a new restaurant located in New Jersey. Pulling from a combined 50 years of experience in the food service industry, the brothers Sabarese decided to launch a new venture. Their idea was an establishment with a new American menu focused on fresh and local ingredients and a beverage program focused on craft beer and cocktails in a comfortable 250-seat restaurant. Sourcing interior design elements such as Edison light ixtures, concrete counters and reclaimed, we decided to brand this restaurant in keeping with that broken-in familiarity. The Arlington logo is based on three simple elements: text, icon and color. We used a text would have been present during the age of the printing press. We used a color that would have been used on New Jersey landmarks in the 1800’s and we used an icon that was relatable to the drive-by customer. Combined, these three elements form a modern and easy to understand logo that nods to the yesteryear when conventional meant organic. A new sign, website, printed materials, uniforms and even some barrels completed this establishment’s presence. Business is thriving even during the winter months when most of their competitors have shuttered.